When you’re searching for industrial air compressors for sale or compressed air equipment we can help! 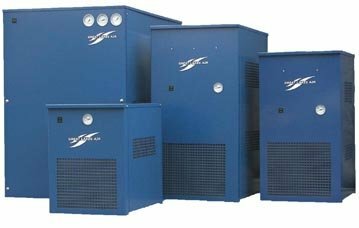 Willing Service proudly sells the very best industrial air compressors from top manufactures such as BOGE, FS Curtis, DV Systems, Chicago Pneumatic, Great Lakes, Hankinson and more. Shop compressed air equipment online or get it touch with us today by giving us a call at (602) 246-6940. See below for our list of compressed air equipment products. We proudly carry the very best in industrial air compressors so our clients can enjoy durable, reliable, and efficient service from everything we sell. For more information about each brand of air compressor click the brand or give us a call to select the best model for your application. BOGE (Best of German Engineering): BOGE offers rotary screw compressors and piston compressors in a variety of design specifications to suit the needs of individual applications. Compressors are available either oil-lubricated or oil-free, and as complete plants or single equipment units. A range of condensate management options and air treatment solutions are also available. The BOGE C-series screw compressors are trendsetters in their class: with less noise, less connections, and less pipework in contrast to more individual configuration possibilities, more output and more efficiency requiring minimal amount of space. We listed to our customers and the C-series is meant to provide the air to work. FS Curtis: RS series compressors are built for ease of installation and intuitive operation. The plug-and-play design allows for easy installation in a wide range of applications. The standard machine has no cabinet to work around, giving you easy access to all components. Features like long-lasting consumables, factory-filled synthetic oil, and oil level sight glass help reduce maintenance time. The multi –stage oil separation system and the heavy-duty oil filter with bypass help ensure long-term operation. In addition, we are an authorized distributor that only uses genuine FS “Curtis filter kits, lubricants and parts to maximize the life of your compressed air equipment. You will never have to worry about downtime while waiting for parts. 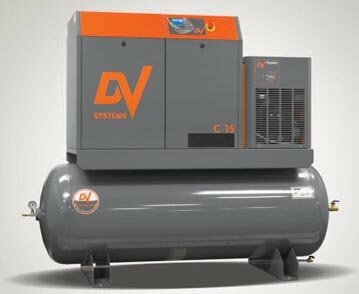 DV Systems (Devair): These rugged and reliable compressors are ideally suited for the industrial & commercial applications. Available in single and two stage, base or tank mounted reciprocating compressors and high quality energy efficient rotary screw compressors from 10 Hp to 100 Hp. 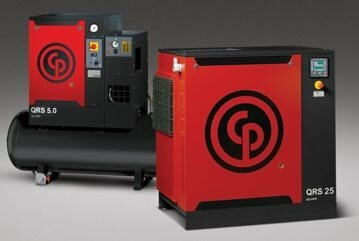 We offer C SERIES 10HP / 15HP ROTARY SCREW AIR COMPRESSORS and HDI SERIES 5HP TO 30HP RECIPROCATING AIR COMPRESSORS. 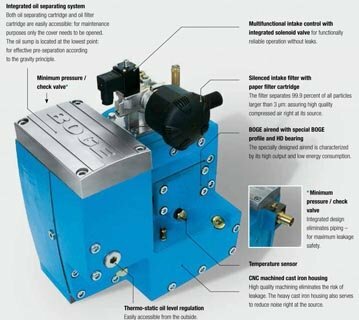 DV Systems has been designing high-efficiency, high-performance compressed air systems since 1954. Their main objective is to provide innovative and reliable compressed air solutions which is even further strengthened by great customer service. Chicago Pneumatic: Chicago Pneumatic represents air compressors and tools that engineered with high performance in mind. In addition to durability, pioneering design, and high-impact technology, Chicago Pneumatic extrudes customer value. The Chicago Pneumatic QRS 20-30 is a rotary screw compressor with combines superior performance with proven design. This compressor is great for industrial and automotive applications. Every QRS 20-30 compressor can be supplied either by tank mounted or base mounted on a 132 gal receiver tank. 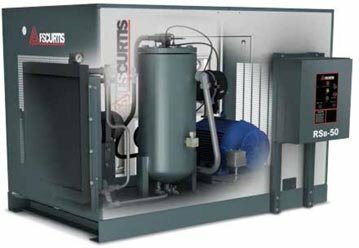 Great Lakes Air: Great Lakes Air manufactures a line of compressed air treatment products and specializes in a variety of compressed air drying products and condensate removal products. The Great Lake ERF air dryers are manufactured with the highest quality standards in mind. Great Lakes air dryers will provide your with a high quality product with years of uninterrupted service. Features and benefits include: Environmental refrigerants, Low pressure drops, 5 year product warranty, smart Selenoid drain and they are all made with pride in the USA. 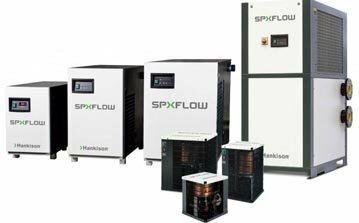 Hankison: The Hankinson brand by SPX Flow, is an industrial products manufacturer with a strong reputation in the air treatment field, providing customers with the technology that produces superior results. Hankinson is dedicated to delivering air treatment solutions for increased savings and customer productivity. The HPRp series of refrigerated air dryers provides rugged durability, quality filtration and heat exchangers that make this Hankinson product the best value for continuous air demand profiles. Compressed air is a versitile, convienience and clean energy resource that is great for many instrument, commercial and insuatrial applications. Compressed air dryers suppress dewpoint (temperature where most liquid moisture condenses) enabling seperation that will remove liquid from the system. Getting rid of the moisture will make the dryer more productive, efficient and reliable. Dry Compressed air helps keep lubricant from washing away due to valves, air motors, cylinders, and air tools which extends product life and reduces maintenance requirements. Reduces contamination in product such as cooling, agitation, conveying, mixing and product blow down. We sell air compressors for commercial and industrial applications from the top air compressor manufacturers. No matter what you needs are we can help you select a air compressor unit that will match your needs. Shop compressed air equipment online and get it touch with us today by giving us a call at (602) 246-6940. 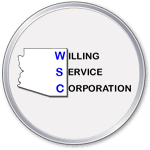 If you searching Google for “Industrial Air Compressors For Sale” or “Compressed Air Equipment“, Willing Service Corporation can help!